→ Demon (1°) #2 (10/72) My Tomb In Castle Branek! 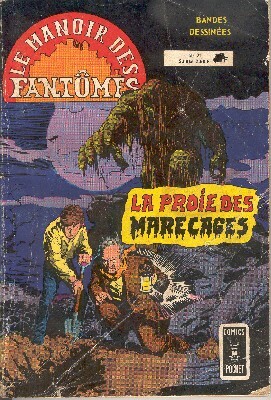 → Ghosts #33 (1) (12/74) The Hangmen Of Specter Island? 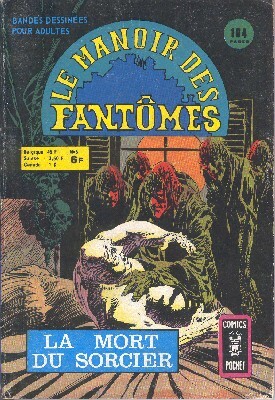 → Ghosts #33 (2) (12/74) The Fangs Of The Phantom Hound! 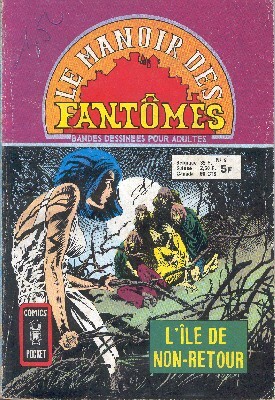 → Ghosts #23 (3) (02/74) Tales Of The Haunted And The Damned - The Most Haunted House In England! 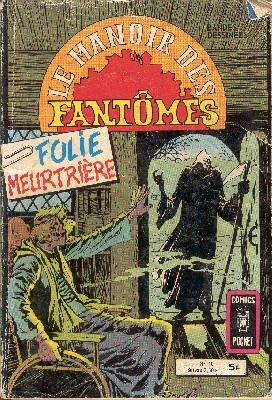 → Ghosts #24 (1) (03/74) You, Too, Will Die! 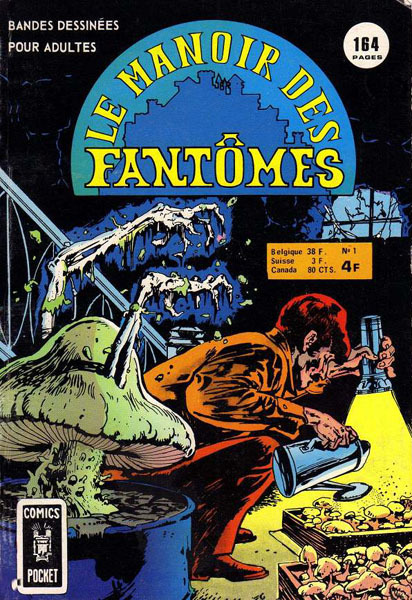 → Ghosts #24 (2) (03/74) The Phantom Spy! → OMAC (1°) #3 (01/75) A Hundred Thousand Foes! → OMAC (1°) #4 (03/75) The Busting Of A Conqueror! → Sandman (2°) #3 (06/75) The Brain That Blacked Out The Bronx! → OMAC (1°) #5 (05/75) New Bodies For Old! → OMAC (1°) #6 (07/75) The Body Bank! → Tales Of Ghost Castle #3 (2) (09/75) A Very Private Hell! → Secrets Of Haunted House #4 (3) (10/75) This Rat Will A-Maze You! → House Of Secrets (1°) #100 (3) (09/72) The Man Who Stopped Time! 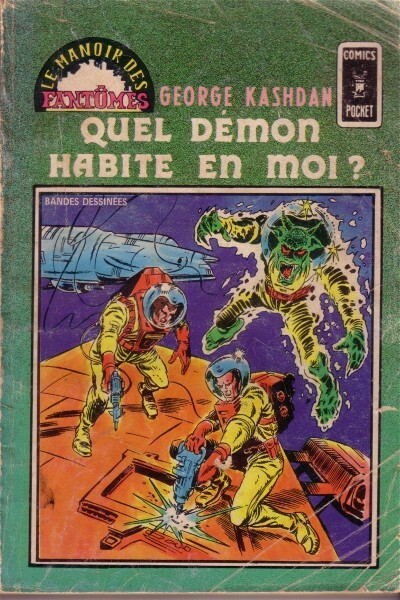 → OMAC (1°) #7 (09/75) The Ocean Stealers! 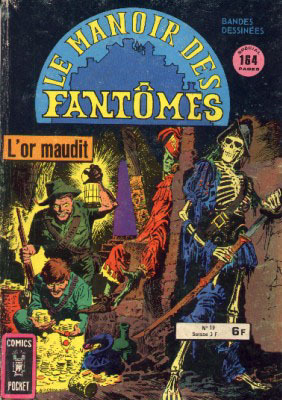 → House Of Secrets (1°) #97 (7) (04/72) Domain Of The Damned! → Sandman (2°) #5 (10/75) The Invasion Of The Frog Men! → House Of Secrets (1°) #104 (5) (01/73) Lend Me An Ear! → Sandman (2°) #6 (12/75) The Plot To Destroy Washington D.C.! → House Of Secrets (1°) #105 (2) (02/73) Coming Together! → House Of Secrets (1°) #110 (3) (08/73) Possessed! → Kobra #1 (02/76) Fangs Of The Kobra! 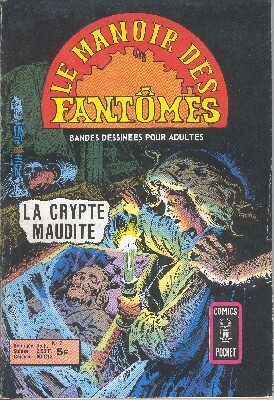 → House Of Secrets (1°) #111 (3) (09/73) The Land Beyond The Styx! → Kobra #2 (04/76) Code Name : Gemini! 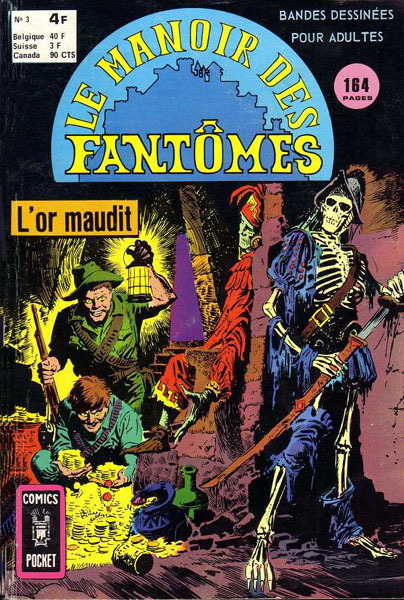 → House Of Secrets (1°) #109 (2) (07/73) And In Death There Is No Escape! → House Of Secrets (1°) #114 (2) (12/73) The Demon And The Rock Star! → House Of Secrets (1°) #113 (1) (11/73) Not So Loud... I'm Blind! 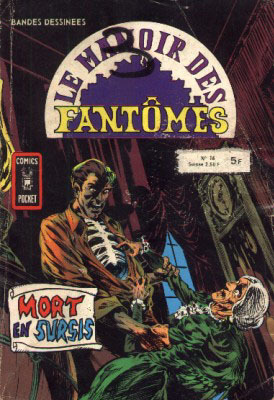 → House Of Secrets (1°) #117 (4) (03/74) Revenge For The Deadly Dummy! → Flash (1°) #198 (2) (06/70) Call It...Magic! → Unexpected #152 (1) (11/73) Death Wears Many Faces! → Unexpected #142 (2) (12/72) Now I Lay Down To Die! 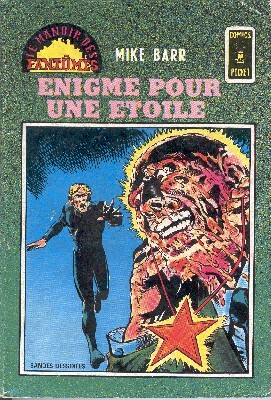 → Spectre (1°) #2 (01/68) Die, Spectre... Again! 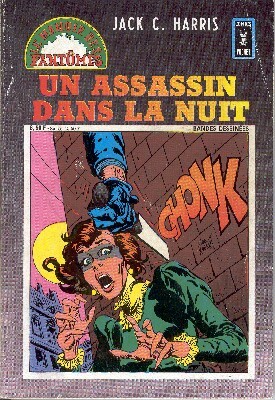 → House Of Secrets (1°) #112 (2) (10/73) The Case Of The Demon Spawn! 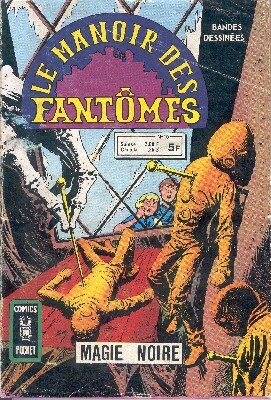 → Strange Sports Stories (1°) #5 (1) (05/74) Hockey - Hockey-Mask Of Death! 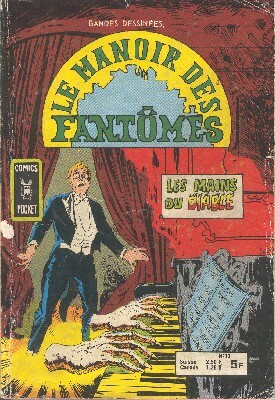 → House Of Mystery (1°) #206 (2) (09/72) The Burning! → House Of Mystery (1°) #206 (3) (09/72) A Real Mother! 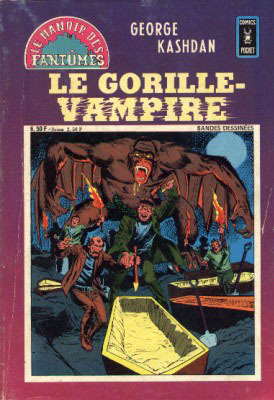 → House Of Mystery (1°) #208 (1) (11/72) The Creator Of Evil! → House Of Secrets (1°) #122 (4) (08/74) There He Is Again! 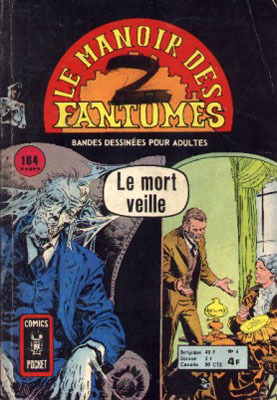 → House Of Mystery (1°) #222 (1) (02/74) Vengeance Is Mine! → Mister Miracle (1°) #14 (06/73) The Quick And The Dead! → Mister Miracle (1°) #15 (08/73) The Secret Gun! → Mister Miracle (1°) #16 (10/73) Shilo Norman, Super Trouble! 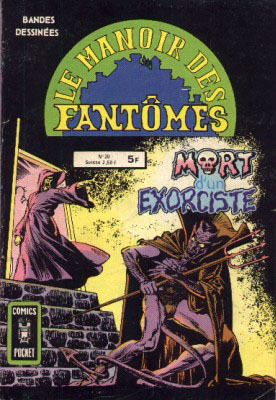 → House Of Secrets (1°) #120 (2) (06/74) The Right Demon Could Do It! → Mister Miracle (1°) #17 (12/73) Murder Lodge! 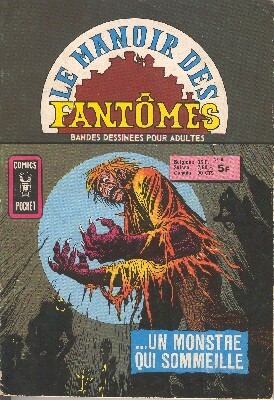 → House Of Secrets (1°) #119 (3) (05/74) Imitation Monster! 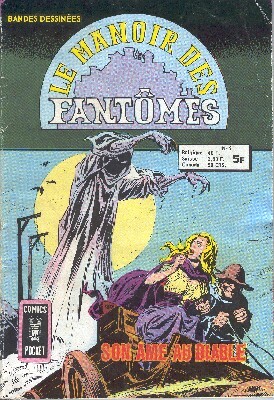 → Secrets Of Haunted House #5 (2) (12/75) Destiny - Gunslinger! → Mister Miracle (1°) #18 (02/74) Wild Wild Wedding Guests! → Unexpected #176 (2) (11/76) What Haunted Herbert? → Unexpected #148 (1) (07/73) Baby Wants Me Dead! → Mister Miracle (1°) #13 (03/73) The Dictator's Dungeon! → Unexpected #147 (3) (06/73) The Terrible Wheel Of Fate! → House Of Mystery (1°) #207 (3) (10/72) This Evil Demon Loves People! 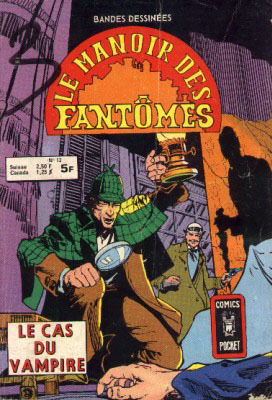 → House Of Mystery (1°) #208 (2) (11/72) The Day The Clock Stopped? → House Of Mystery (1°) #217 (1) (09/73) This Ghost-Town Is Haunted! 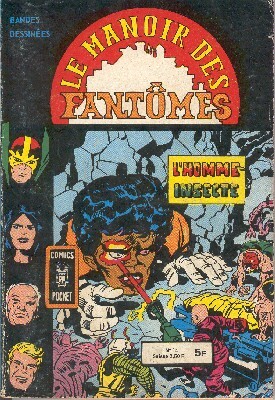 → House Of Mystery (1°) #217 (2) (09/73) Hoodoo You Trust? → Unexpected #151 (1) (10/73) Sorry, I'm Not Ready To Die! → Unexpected #157 (9) (05/74) Born Loser! → Unexpected #157 (12) (05/74) Body Snatcher! → Unexpected #157 (13) (05/74) Who Will Kill Gigantus? → Unexpected #188 (3) (11/78) And In This Corner : Death! → Unexpected #188 (4) (11/78) The Locked Room! → Unexpected #208 (1) (03/81) Johnny Peril - Factory Of Fear! → Secrets Of Sinister House #6 (3) (08/72) Brief Reunion! 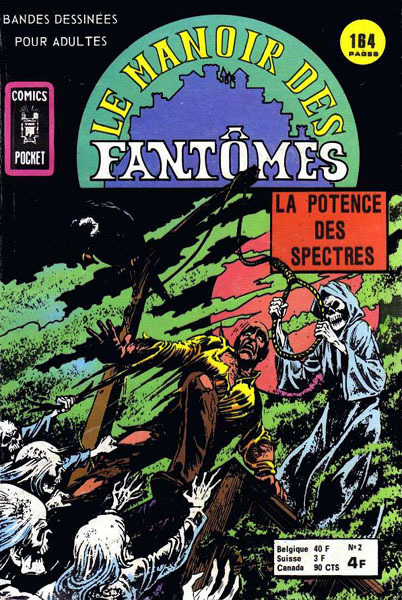 → Ghosts #1 (2) (09/71) Death's Bridegroom! 23 06/82 6 FF (0,91 €) 7,5 / 6 / 4,3 / 3,2 / 1,3 Quel démon habite en moi ? 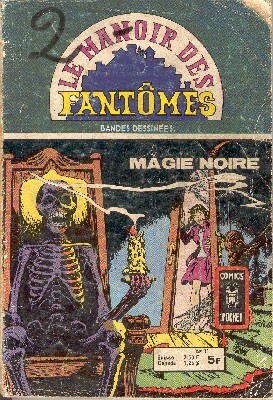 → Secrets Of Sinister House #10 (2) (03/73) The Cards Never Lie! 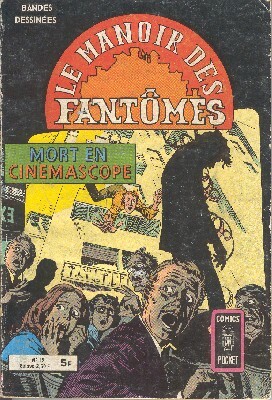 → Ghosts #15 (4) (06/73) Who Dares Cheat The Dead? → Ghosts #23 (1) (02/74) Dead Is My Darling! → Unexpected #205 (1) (12/80) Johnny Peril -The Second Possession Of Angela Lake! → Unexpected #205 (3) (12/80) Bruce The Barbarian! → Unexpected #208 (2) (03/81) Where Have You Gone, Solid Citizen? → Unexpected #208 (3) (03/81) The Night Of The Devil Bugs! → Unexpected #191 (6) (05/79) The Harpies Are Coming! 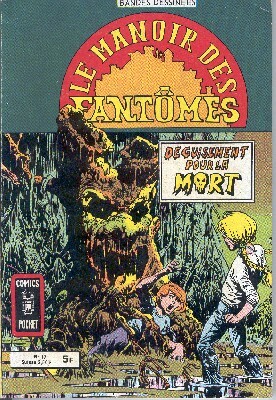 → House Of Secrets (1°) #139 (4) (01/76) Instant Rebirth! → Unexpected #209 (1) (04/81) The Curse Of The Pharaoh Ras Kama! → Unexpected #209 (2) (04/81) Time Warp - The Gods From The Sun! → Unexpected #212 (1) (07/81) Johnny Peril - The Adventure Of The Angel's Smile! → Unexpected #212 (2) (07/81) Corpses In The Quicksand! → Unexpected #214 (2) (09/81) Slaughterhouse Arena!